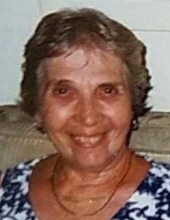 Grace G. Hall, age 89 years of Jennings Terrace Aurora, IL, formerly of Oswego, IL, went to her final resting place of Saturday, March 23, 2019. She was born January 19, 1930 in Aurora, IL, the daughter of the late Emmett K. and Grace G. nee Kiehl-Smith. Grace was married to the late Albert "Bud" Hall in Montgomery, IL. They celebrated 59 years of marriage. Grace was preceded in death by her husband Albert "Bud" Hall, her daughters Susan VanTassel, Diane Olin, and Lori Hall, son Jim Hall and grandson David "Shane" VanTassel. She is survived by her brothers Emmett (Marlene) Smith, Jr. of Aurora, IL, George (Rita) Smith of Aurora, IL, Roy (Dorothy) Smith of Merrillville, IN and Ronald (Sally) Smith of LaMoille, IL, many grandchildren and great-grandchildren. Grace was a member of the Church of the Good Shepherd in Oswego, IL for many years and also the Ladies of the Moose. Grace was very proud of the fact that she was a Registered Nurse and had worked at Mercy Center Hospital in Aurora, IL in the ortho-neuro and O B departments for over 20 years. Visitation will be on Tuesday, March 26, 2019 from 10:00 AM until the funeral service at 12:00 Noon at DUNN FAMILY FUNERAL HOME with CREMATORY, 1801 Douglas Road, Oswego, IL. Burial will take place at Lincoln Memorial Park , Rt. 30, Aurora, IL. Memorials may be directed to the Church of the Good Shepherd , P.O. Box 695, Oswego, IL 60543. To send flowers or a remembrance gift to the family of Grace G. Hall, please visit our Tribute Store. "Email Address" would like to share the life celebration of Grace G. Hall. Click on the "link" to go to share a favorite memory or leave a condolence message for the family.